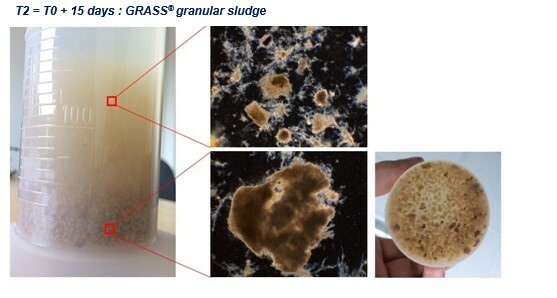 The GRASS® technology is the first one to overcome the classical biological pool technology in order to produce stable granular activated sludge. 1997 : University of Delft – First laboratory tests describing the formation of aerobics garnules in SBR (on synthetic waters). 2005 / 2006 : Nereda® – First industrial application on « mixed » water (ERU + ERI) ; patended process : constraints on geometry of the granular reactor (piston flow). 2013 to 2014 : Research Biagra by the Cebedeau : laboratory study of the applicability of granular sludge and the advanced treatment of nutrients (N +P) on ERU (diluted) and ERI. 2015 : Implementation, by the Cebedeau, of a densification strategy in order to avoid the proliferation of filamentous bacteria in a full-scale industrial wastewater treatment plant (in the dairy industry) ; treatment of more pollution in a given volume with respect of the rejection standards. 2016 to 2018 : Birth of the GRASS® technology : exelio and the Cebedeau have developped a competitive and compact industrial scale granular sledge process (CAPEX et OPEX). This process is dedicated to the treatment of ERI technology with sequenced feeding by sheeted ; 24 months of feedback. 2018 : First contract in order to implement the GRASS® technology (drinking water and lemonade sector). exelio wants to bring the benefits of the granular sludge and the GRASS® technology to their customers and communities. 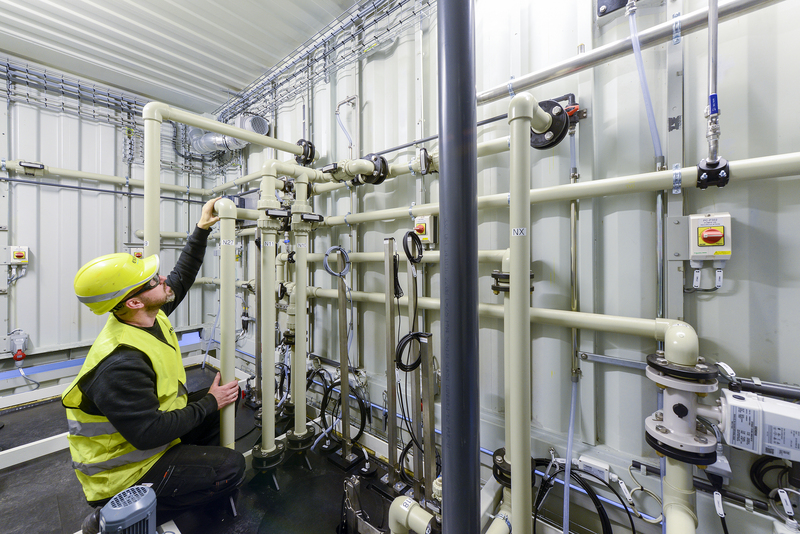 We are offering our GRASS® technology to customers who are eager to optimize operation and operating costs of their biological SRB type treatment plant (Sequencial Batch Reactor). The GRASS® technology was developped by our R&D team and was validated by the CEBEDEAU (Centre Belge d’Etude de l’Eau) especially for sewage treatment plants from agrifood processes. increase, without adding reagents, the treatment of nutrients (N et P). In order to make an offer to implement a biological reactor with GRASS® granular sludge with a particular effluent, exelio, in partnership with the Cebedeau, proposes to carry out a diagnosis of effluent, installations and biology (if existing). 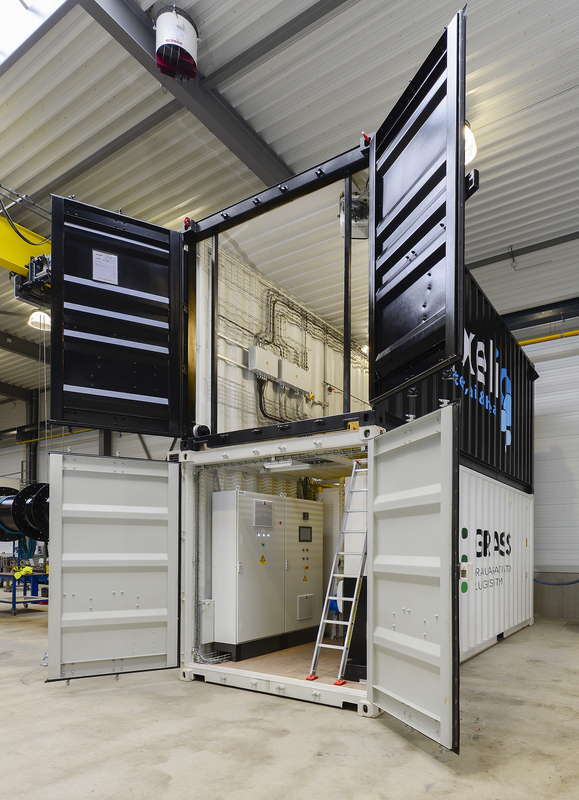 Diagnostic DIAMOND : diagnostic PLATINIUM + pilot test on site for 4 to 6 months with a container that has a capacity of +/- 10 kg COD / d and also including process monitoring services. 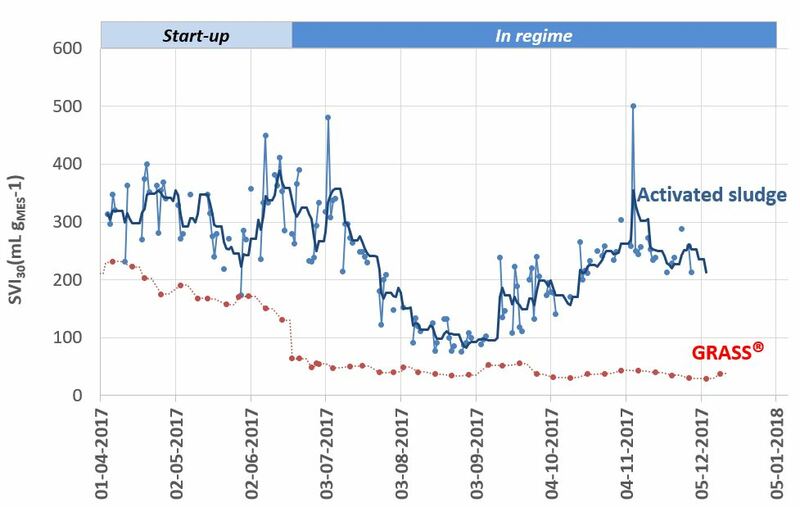 By the end of the diagnostic, exelio is able to establish a precise and specific offer for a new SBR GRASS® or to carry out the structural (possible), electromechanical and automation adaptations necessary for densification and / or granulation of an existing plant. Total warranty : if during the study, or at the end of it, the conclusion had to be that the densification is impossible or improbable (so that an offer is impossible to realize), the cost of the diagnosis is not charged.